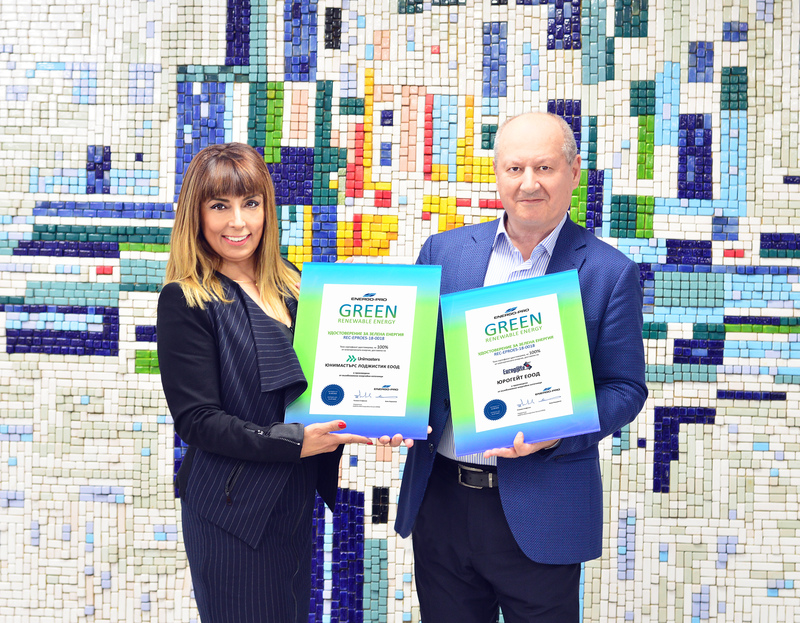 Unimasters joined the community of companies using 100% green energy to run their operations and received a certificate for sustainable logistics services provider issued by ENERGO-PRO Energy Services. „For more than 28 years, we have been growing our business in Eastern Europe in a transparent and socially responsible way. To meet the expectations of our customers, we never make compromise with quality and sustainability. We do not just follow climate-friendly technological trends – we implement them before the rest of the industry. At Unimasters we strive to protect the environment through greener performance and constantly reduced carbon footprint as well as of other harmful emissions. In cooperation with ENERGO-PRO Energy Services from now on we will be running our operations entirely through renewable energy sources.” said Mr. Nikolai Bozhilov.